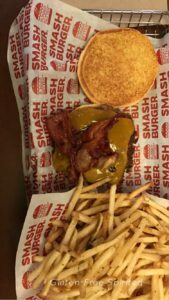 If you’re looking for a fancier burger, but still affordable than your routine fast food establishment, Smashburger might be for you. After a day of running errands, we found ourselves hungry after 8 PM. 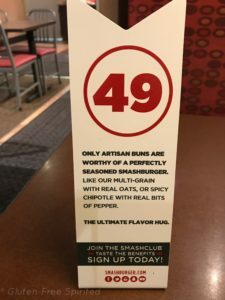 Luckily, there was a Smashburger nearby. After consulting their menu for dietary restriction options, we decided to make our first visit to this establishment. Dinner and blog content: check and check. 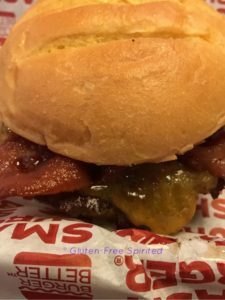 Smashburger offers several types of buns: egg, multi-grain, chipotle, lettuce and Udi’s gluten-free. We were unsure if the egg bun contained soy and Nikki isn’t a fan of Udi’s so she opted for the lettuce bun (which is a fancy way of saying the patty sits on a bed of lettuce). They also offer a variety of patties: regular, big burger, or black bean veggie burger. If you’re craving chicken, you’re in luck as they offer both grilled and crispy. And now we’ve come to the portion of the blog where you get to see what I ate. If you don’t want to see #foodporn, please scroll now. WARNING: There are two photos of #foodporn. Verdict: We liked it and it didn’t cause Nikki any stomach issues later on. 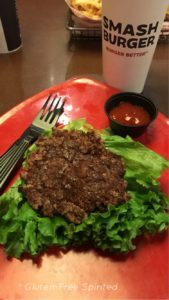 If you liked this blog, you might also find these helpful: what to eat at Cracker Barrel, Golden Corral, and Texas Roadhouse. 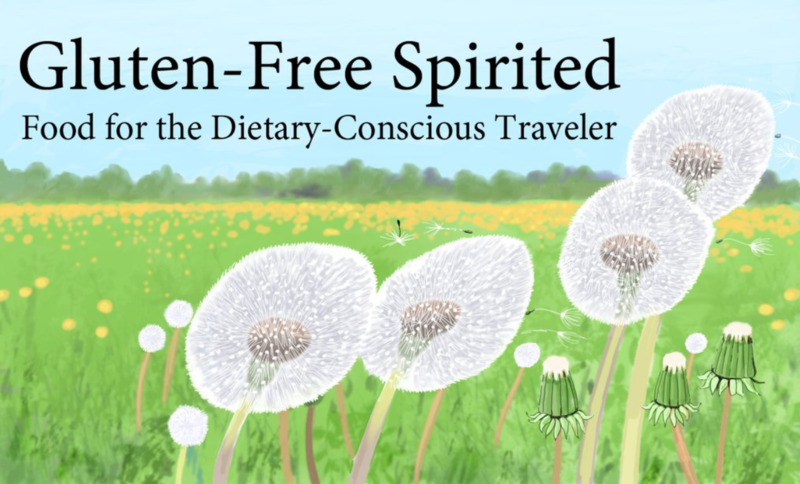 Please remember to follow me on social media and subscribe for blog post updates.